The colors, the landscapes, the people… and the food! A private Balkan tour will offer you huge potential for sightseeing, weekend breaks, cultural trips, museum tours, and of course sports and outdoor activities – along the coastlines, or up in the mountains. The Balkan tours are available for small and big groups during the whole year. I can provide full organization of the trip, from planning the itinerary up to the transportation, accommodation booking and guiding. As a licensed tour operator I can also provide all kind of documentation you will need during your Balkan tour as invoices, booking confirmation letters etc. Why should you get a Balkan private tour with me? Alternatively you could enjoy a local Balkan tour, and get to know one area better – with my Balkans private tour that dives head first into rich history, mind-blowing natural landscapes and some of the best food on the planet. No matter where we go together, you’re going to find that the local people are warm, friendly and hospitable… eager to make your stay a memorable one. And the best thing about booking with an authentic Balkans tour guide and private tour in the Balkans? I know the people, I know the culture, I know the customs and I know the history. The insights that I share with you are going to offer a rich and immersive experience that you just wouldn’t get on your own. For me, the Balkans are simply the most fascinating place you could ever hope to travel… and I don’t just say that because I’m a local! Join me on a multi-country Balkan private tour, and you’ll get to see the colorful differences between these countries, as well as spotting similarities in terms of language, cuisine and customs. We can start and finish at any country, and it’ll be easy to fit a Balkan tour around your flight plans. Keep reading to find out more about the exciting countries I’d like to introduce you to! Bulgaria is a Balkan country featuring a history of over one millennium, and being at the crossroads of major routes led to the establishment of settlements and building of fortresses in antiquity. Nowadays people can travel on Balkan private tour, visiting the Thracian tombs in Sveshtari and Kazanlak, UNESCO Heritage sites, see remnants of Roman fortresses everywhere in the country, and delight in seven UNESCO World Heritage sites from medieval periods: the Madara Rider, a rock relief, the Boyana Church, nearby Sofia, the Rila Monastery huddled in the Rila Mountain lower folds. I suggest to visit Bulgaria as least for 4 days during your Balkan tour. And I promise what you will fall in love with it! Two other UNESCO sites, the rock hewn churches near the village of Ivanovo, in the Rousse region, and the ancient buildings in the old part of Nessebar, a town by the Black Sea, show the skills and strife of people to excel in diverse areas. Bulgaria is great choice for a private Balkan tour, because it boasts a host of nature spots which range from seaside beaches inviting with soft sand and soaked in sunshine, fringed by verdant forests, to majestic mountains which comprise verdure, plenty of water features, lakes, streams, a raft of trails to take to explore the Bulgarian mountains. Pirin is the most visited mountain owing to its stern and rugged beauty, and Rila is the combination of forests, mountain peaks, and lots of streams and lakes – the Seven Rila Lakes locality is world famed. Serbia borders Bulgaria, Romania, and several other Balkan countries. It is landlocked, and lies on the major routes in Europe. The state was formed in the beginning of the nineteenth century, following the Serbian revolution. After, a century later, it entered Yugoslavia, a merger of several countries, which later divided into separate countries again. Since 2006 Serbia has been independent. The country comprises part of the Balkan Peninsula, the Panonian Plain, and the Wallachian Plain in the easternmost part. The territory is overall hilly, and is traversed by rivers, the Drina and the Ibar. The wealth of hills and water features create auspicious settings for animal breeding, and bird species are numerous too. Especially, outstanding is the Tara mountain in the west, where bears roam in freedom. Not only the mountains but also Serbia’s spas are attractive for tourists who are coming for private tour around the Balkans. Belgrade is a favorite choice for foreigners during their Balkan tour, on account of magnificent city break opportunities. The mountain resorts which enjoy the most fame are Kopaonik, Zlatibor, Stara Planina. Among the spas, it suffices to mention Vrnjačka Banja, Banja Koviljača, Soko Banja. Orthodox monasteries abound, and river cruising on the Danube is another must for tourists to explore during their tour to the Balkans. Macedonia has ancient history dating to the kingdom of Panonia which was a Thracian one. Later Alexander the Great conquered it and it joined his empire. The Romans, too, left their traces on the country which became their province. By the last years of the sixth century the Slavs settled in the Balkan area. Later the Byzantine rule governed the country. The next to rule the territory were the Ottoman Turks. After belonging to Yugoslavia, Macedonia became an independent republic. Now it appeals with the Vardar river valley and with its mountain ranges framing the valley, the Sar and Osogovo. The principal lakes are large – Ohrid, Prespa and Dojran, they are shared with Albania and Greece. The mountains also comprise the Osogovo-Belasica and the Dinaric Range. During your private tour Balkan it is a must to visit the three national parks, Mavrovo, Galičica and Pelister. The country has one heritage site under UNESCO, the Ohrid region which is of natural and cultural importance alike. If you want to Visit the Balkans I suggest to visit Ohrid in Macedonia, which is located on the namesake lake, and is famed for having 365 churches in the past, i.e. one church for each day in the year. The architecture and monuments, together with the lake, make Ohrid universally appealing. The town of Ohrid is located near the border between Macedonia and Albania, so let’s continue our Balkans private tour there. Albania borders few other Balkan countries – Montenegro, Kosovo, Macedonia, and Greece. Ancient Romans, Ottomans, Italians who invaded it in 1939, and other rulers helped to write the country’s history, until in 1991 the Republic of Albania was formed. It has outlet on two seas, the Adriatic, and the Ionian. The Otranto Strait links the two seas. The highest mountain, Korab, rises to 2,764 m.
The Mediterranean climate, welcoming with mild winters and caressing with sun soaked summers, invites together with the country’s landmarks and nature. Among them, Albania boasts the three largest lakes on the Balkans, Shkoder, shared with Montenegro, Ohrid, shared with Macedonia, and Butrinti, in the Butrint National Park. The beaches along the coast of this Balkan country are both pristine and captivating, replete with coves, lagoons, capes, etc. Rugged mountain beauty is guaranteed in the Albanian Alps. The Tomorr, Theth, Dajti, Valbona Valley National Parks, the lakes, and the beaches form a palette of spots worth visiting. UNESCO has added two Albanian gems to its list, which you can visit during your Balkans private tour – Berat and Gjirokastër. Berat is called the town having 1,001 windows, as its boasts a plethora of buildings featuring architectural and historical significance. Gjirokastër is a former Ottoman town dating from medieval times. On the Balkans, Montenegro is becoming increasingly appealing for tourists. It boasts an outlet on the Adriatic Sea, and also a mountainous region. As for its history, it is also rich in memories of glorious Roman times, then the Slavs conquered it, and the country became a principality in the Byzantine empire in the tenth century. Following a brief Serbian empire period, the area subdued to Ottoman rule. Following a string of tumultuous period, Montenegro gained independence thanks to the Berlin Treaty in 1878, was a kingdom, then part of Yugoslavia, and became an independent country in 2006. If you choose to include Montenegro in your private tour Balkans list the diversity of high peaks, bear the borders with Serbia and with Albania, and a coastal plain, the Zeta river valley, etc. promise a plethora of opportunities for great time. The mountain peaks rise to an average 2,000 metres, e.g. Bobotov Kuk, 2,522 high, in the Durmitor mountains, which are a national park. Zla Kolata is the highest peak in Montenegro and one of the highest in the Balkans, 2,534 m, and among the lakes, the largest is Skadar. Visiting the national parks immerses in nature’s beauty, as people visit Durmitor, Lovcen, Biogradska Gora, etc. UNESCO’s heritage comprises Durmitor, also the canyon of the Tara River, the deepest European and second deepest worldwide, and, too – the Kotor city. Kotor, on the Kotor Gulf, boasts fortifications constructed in the Venetian period. The entire region belongs with the UNESCO nature and culture treasure lists. Reaching any point in Montenegro is easy from its two international airports, in the capital Podgorica and in Tivat where you can even start with your round Balkan private tour. Kosovo has existed as an independent state since 2008. It is a landlocked Balkan country, which belonged to Serbia in the medieval period, to the Ottoman Empire, and to Yugoslavia. The country’s terrain is predominantly mountainous. 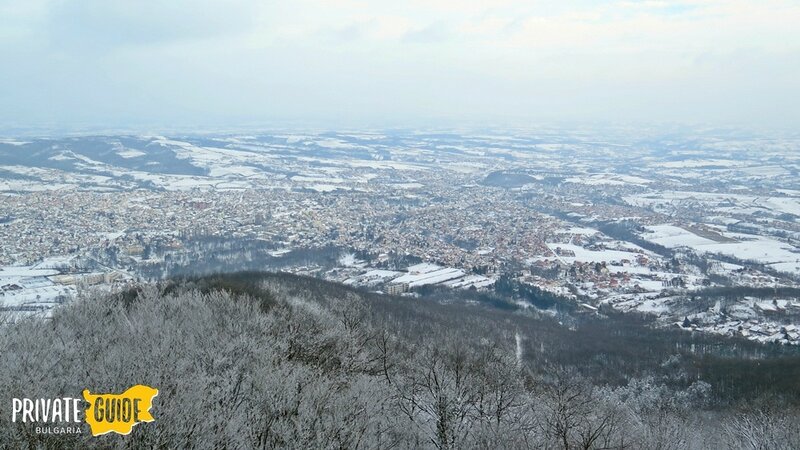 Deravica is the highest peak, at 2.656 m. The country can offer variety of nature sights for your private Balkan tour – rivers, White Drin, South Moravia, Ibar, and lakes: Gazivoda, Radonjic, Batlava, Badovac. Forests cover approximately one third of Kosovo. The Sar Mountains are the country’s only national park, with alpine and glacial lakes dotting the area, and the park boasts Brezovica, a welcoming ski resort. Another famed feature in Kosovo is the Nerodimka, Europe’s only river which is divided and its two parts flow into different seas. The proximity of the Balkan Peace Park, by the border between Kosovo and Montenegro, enables enthusiasts to plan more hours and days in the open. 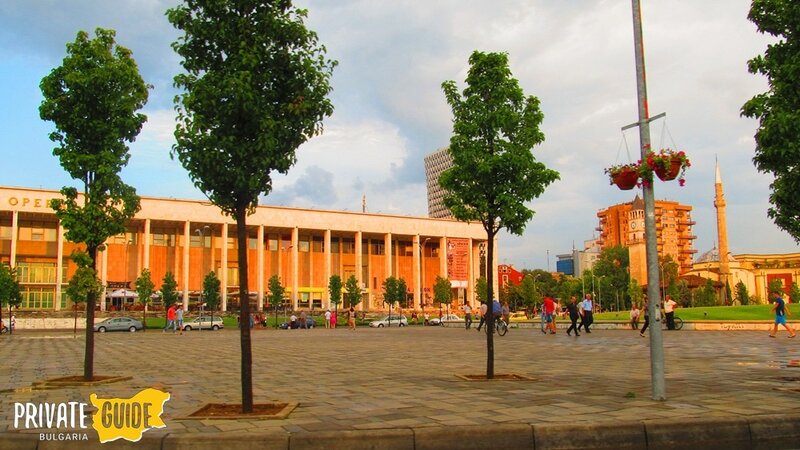 The capital, Pristina, is worth visiting, too. Missing visiting Bosnia and Herzegovina would mean not visiting another essential Balkan area. The capital, Sarajevo, can be the starting point for exploring the country during your Balkan tour; for beach goers, there is the small Adriatic coastline, where Neum is the city to visit. Like the other Balkan countries, it experienced the impact of different periods in history, starting from Celtic civilizations, Slavic peoples, Ottoman rule, Austro-Hungarian rule, Yugoslavian belonging following World War II; then, after Yugoslavia dissolved, the country emerged as Bosnia and Herzegovina. The attractiveness of the country for tourists is due to its beautiful nature, cultural heritage, cuisine, and especially winter sports. The capital Sarajevo hosted the Winter Olympics in 1984. The Bosnian Alps offer one of the best conditions for skiing and hiking in the Balkans. White water rafting is a national sport, thanks to the rivers, especially the Tara with its canyon. Međugorje, a religious center, draws Christian pilgrims from far and wide. In Višegrad, the Mehmed Paša Sokolović Bridge is a UNESCO heritage site. Sutjeska National Park comprises ancient forests and draws with the canyon of the Sutjeska river. Enumerating the Balkan countries featuring strings of places of interest would be incomplete if Croatia was omitted. The Balkan tour can start from its capital Zagreb. Its coast on the Adriatic Sea is characteristic with the numerous islands totaling over 1,000. The country’s history is rich, starting from the seventh century when Croats arrived there. Passing through periods of Sovereignty union with Hungary, being constituent of Yugoslavia, etc., nowadays Croatia is a republic, and it is a European Union member. On the Adriatic coast, Opatija, a health resort, enjoys fame. Nautical tourism thrives along with cultural tourism which comprises touring the medieval cities by the coast. The country boasts 118 beaches flying the Blue Flag. For aficionados of Mediterranean cuisine, in Dalmatia and Istria dishes abound in seafood, vegetables and pasta. Influences of scrumptious Hungarian and Turkish cuisine also attract gourmets. Wine lovers will also be pampered by red wines, in Mediterranean style: wine is among the country’s staple drinks. Romania is further North, also offering natural diversity, with mountains and towering peaks – twelve peaks which rise to over 2,500 meters. The picturesqueness of the Carpathian Mountains, with the Moldoveanu peak, the tallest one, 2,544 meters high, should be seen during your private tour Balkan. There is the string of towns along the Danube, which flows through Europe and empties into the Black Sea, spreading in the Danube Delta, a UNESCO Heritage site and the ground for unique species, together with opportunities for riverside and aquatic recreation. This Balkan country preserves remains of the ancient Roman period when it was the Dacia province, and Romanians have the statue of the she-wolf feeding Romul and Rem in each of their towns, to remind of their origin. Romania was formed by the merging of two principalities, Moldavia and Wallachia, and after being in the Ottoman Empire, it gained independence in 1877. The Kingdom of Romania united with the regions of Bessarabia, Transylvania and Bukovina. Romania became a republic, shortly after WWII, but the opulent palaces in actions of Peleș have remained and are open for visits. Transylvania is the most picturesque region you can see in Romania during your private Balkan tour, with the famed castle of Dracula in Bran, and the Parliament building, in mid Bucharest, Romania’s capital, is the second largest building worldwide, after the Pentagon. Greece is the farthest south, a Balkan country steeped in history, rightly considered the cradle of culture. Ancient Greece can be experienced by touring the country’s monuments which comprise 17 heritage sites under UNESCO’s aegis. Ancient times witnessed the conquests of Alexander the Great, the thriving of the Roman empire and subsequently the Byzantine empire. Another milestone along Greece’s history is the origination of the Olympic Games. Visiting Greece on Balkan private tour is getting acquainted with a mountainous country with a very indented coastline. The Orthodox Church of Greece transmitted its traditions around the entire Orthodox world. The modern Greek state was founded in 1830, after a war aimed at gaining independence from the Ottoman Empire. The largest city, the capital Athens, and the second largest one, Thessaloniki, are the most visited spots. Thessaloniki has been ranked as one of the most auspicious towns for partying. One attractive feature of the country that goes without saying is its cuisine. Local dishes are scrumptious and unique, with moussaka and feta cheese, olives and olive oil in abundance. Among the historical sites, the Acropolis located in Athens, dating to the fifth century, stands out. Other sites comprise the ancient sanctuary of Delphi, in central Greece, the site of Olympia in Ellis where the Olympics originated, and many more. we are 2 adults and 3 children age 16,15,11 years old and looking to do the grand balkan tour,on the 1may 2017 request you to send me the itenery along with pricing. Hello Mona, All the tours we organize around the Balkans are private. I just send you an email with more information about the Balkan tours we organize. Need multi countries tour for 3 persons Bulgaria,Serbia, Macedonia, Montenegro, Albania,Croatia, Kosovo, Bosnia- Herzegovina,Romania.After May 20, or 21 2017.Itinerary Logistics,hotels cost, etc. Any suggestions.We are from USA. Thanks. Hi I need a private tour for 2person staring fr 24//6 for 10 days to Balkan fr London. Can you quote me with itenary. Hi! My family of three (two adults and one child who is 9) would love to tour Albania, Bosnia-Herzegovinia, Bulgaria, Macedonia, Montenegro, Serbia and Kosovo in late March or Early April 2017. If not, then late May into June. Thank you! Hi Kristi, thank you for your inquiry. I just have sent you an email. Hi Adriana, We are planning a trip to the Balkans for 2 adults and a 9 y.o. in Mid April. Thank you! Hi Adriana, I’m interested in doing the Peaks of the Balkans starting late May or early June. I’m a solo traveler now but I’m talking to friends that are interested in joining me. Any information would be appreciated. Thanks! We are a family of 2 adults and 2 children aged 4 and 1 yrs old. We will be arriving sofia from london in mid sept. Am interested on the balkan tour, esp montenegro. Could you let me have the possible itineraries and the pricing as well? Thank you! We are planning to visit Balkans, last week of June 2018. We are a family of 4 (59, 54, 24 and 18). A family friend, 40, might be joining us. Please send me an itinerary and rate please. We already visited Greece 2 years ago, please don’t include Greece in the itinerary. We would like to visit Medjugorje (as we are Catholics) and also Slovenia. Thank you! I want to ture for Balkans countries. Please lead me for it.